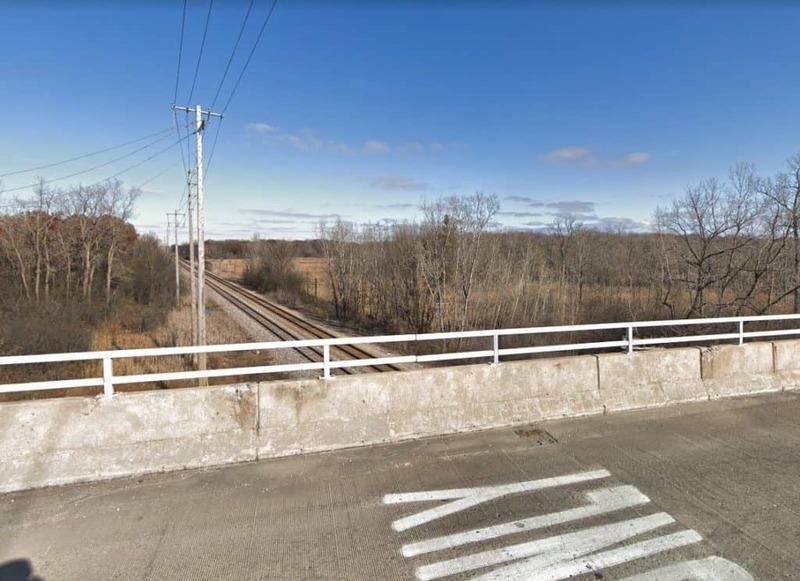 A 28-year-old man driving a car got out and jumped off a bridge onto the train tracks along Route 137 east of Interstate 94 Monday evening, police said | Photo: Google Street View. A 28-year-old man in mental distress was seriously injured after he got out of a moving vehicle and jumped off a bridge onto railroad tracks below Route 137 in Libertyville Monday evening, police said. The Lake County Sheriff’s Office and the Libertyville Fire Department responded around 6:10 p.m. Monday to Route 137 east of Interstate 94 in unincorporated Libertyville. Lake County Sheriff Sgt. Christopher Covelli said that a 28-year-old Libertyville man was driving a vehicle westbound on Route 137 east of Interstate 94 with a 42-year-old man in the passenger seat. The 42-year-old witness told police that the driver opened his door while the car was moving and intentionally jumped out of the car. The man got back up and then jumped off the overpass and fell onto the railroad tracks about 30 feet below the roadway, Covelli said. The man suffered serious injuries and was transported by ambulance to Advocate Condell Medical Center in Libertyville. “It appears the driver was in mental health crisis and attempted to inflict self-harm. In addition to treatment for his injuries, medical personnel will evaluate the man’s mental health,” Covelli said.